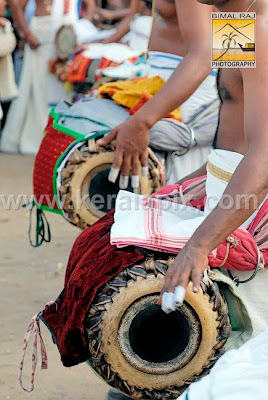 A closeup view of "Madhalam" drum performers at temple festival, Cochin. Madhalam has two sides for playing, made out of leather, which give different beats. This is a heavy instrument which is tied around the waist of the person playing and the player stands all the while to perform.